Freezing fresh cherries for later use keeps the sweet taste of summer around. And it's super easy to do—all you need is a freezer. You can eat them straight out of the freezer for a cooling snack on a sweltering summer day. Frozen cherries also work as a natural thickener in smoothies (the same way ice thickens a blended drink). But adding frozen cherries to baked goods might just be the best use of all. For muffins, bread, and pies, frozen cherries provide the same sweetness of fresh and no defrosting is needed. Thanksgiving cherry pie anyone? The best cherries are the biggest cherries, so if you have the option, go big. Next, make sure your cherries are a deep red mahogany color (for varieties like Bing and Tulare) and a bright yellow with hints of rose (for Rainier). Some people mistake Rainier cherries an being unripe due to their color. But if you pass them up, you may never know the taste of this prized beauty. As a general rule—the bigger and bolder in color, the sweeter and juicier the taste. Inspect the cherries to make sure there are no bruises. Discard bruised cherries, as they will become mushy during the freezing process. 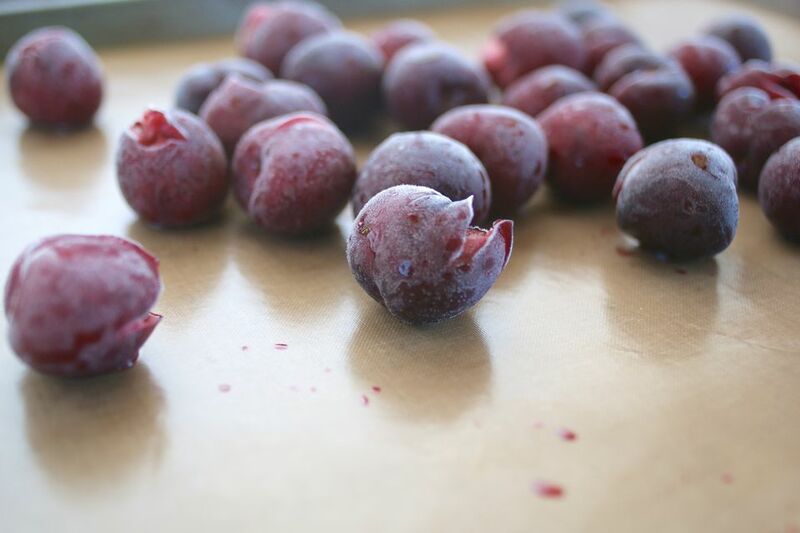 Then store cherries in a cold refrigerator until you are ready to prep and freeze them. Do not wash them prior to processing, as water degrades their quality and hastes spoilage. Start with ripe cherries. Rinse them and pat them dry. Working over a baking sheet lined with parchment paper, wax paper, or foil, pit the cherries. If you have a pitter, use that. If not, use tweezers, a lobster picker, or an unbent paper clip to dig into the center of each cherry and pop out the pit. Alternately, you can cut the cherry in half, exposing and removing the pit. Arrange the pitted cherries in a single layer on the lined baking sheet. Include any juice (which can amount to quite a lot). Use as many sheets as needed, as the key is to maintain a single layer so they freeze evenly and don't end up in clumps. Place the sheet(s) of pitted cherries in the freezer and freeze them for at least a few hours and, preferably, overnight. You can stack sheet on top of each other, but make sure to line the tops of each tray so that they don't stick to the bottom of the one stacked on top. Once your cherries are frozen, transfer them with a spatula into a sealable plastic bag. Remove as much air from the bag as you can by partially sealing it and then inserting a straw at the end of the seal and sucking the rest of the air out. The less air you have in the bag, the less your cherries will dry out. 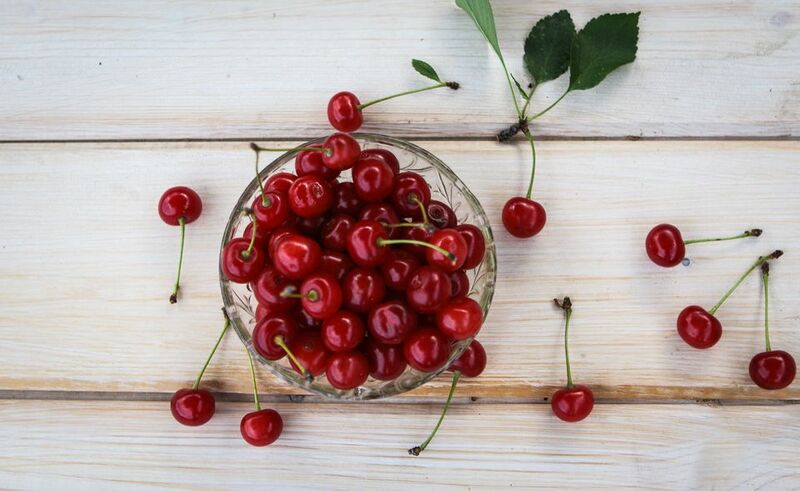 Once frozen, use them in your favorite fresh cherry recipes or pop them in your mouth and enjoy!